In the most basic sense, blood pressure is a way of measuring how much force is being exerted on the walls of your blood vessels as blood flows through them. Systolic blood pressure (the upper number on the blood pressure monitor) is the highest pressure in blood vessels when the heart contracts/beats. Diastolic blood pressure (the lower number on the blood pressure monitor) is the lowest pressure in blood vessels in between heartbeats when the heart muscle relaxes. 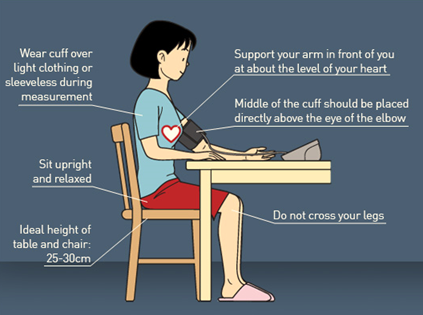 Click here to discover more from medical associations why you should monitor blood pressure at home!